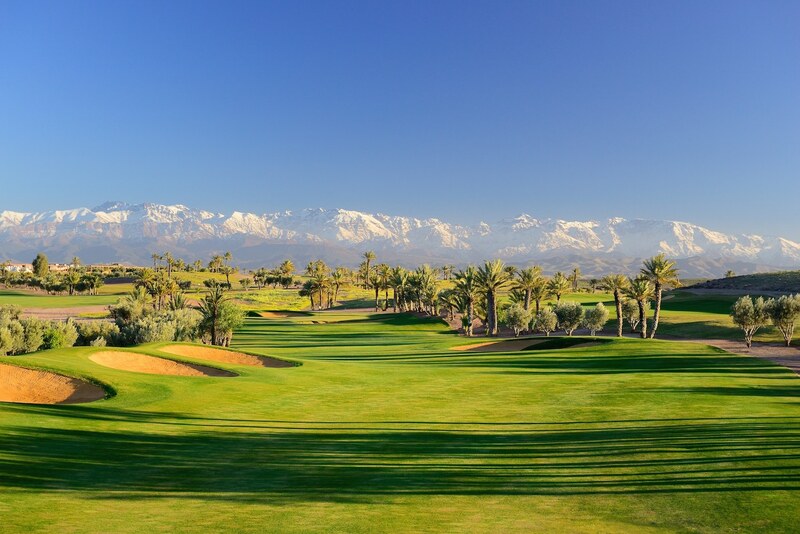 Set against the backdrop of the snow-capped Atlas Mountains, Assoufid Golf Club winds its way through a naturally undulating desert landscape. 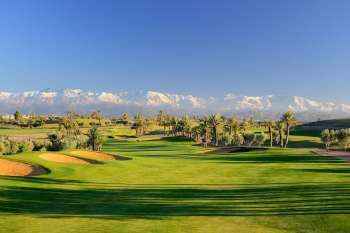 Located 10km from Marrakech’s medina, this 18-hole, par-72 golf course provides golfers with an exclusive golf experience. Excitingly diverse, challenging, and rich with desert wildlife, this gently undulating golf course featuring palm trees, cacti and olive trees was meticulously designed to blend with its natural surroundings. Designed by Niall Cameron, a Scottish golf professional and former European Tour player, Assoufid’s desert-style course is complemented by a Clubhouse which includes a reception area, Pro Shop, locker rooms, a private members’ lounge and La Colline Restaurant, managed by renowned French chef Damien Durand. Additional facilities include a driving range, a practice putting green and a chipping area. Assoufid Golf Club and its clubhouse officially opened on October 1, 2014. From the golf club website.